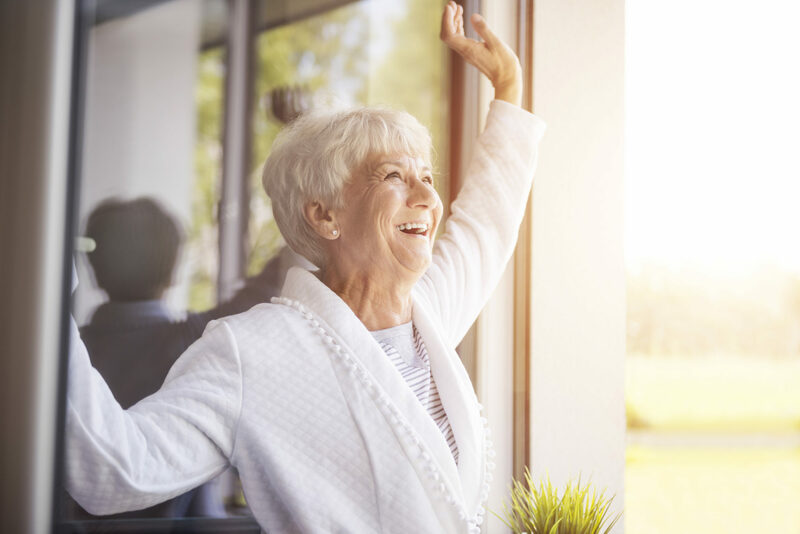 If you’re providing care for a loved one who struggles with COPD, you certainly are aware that outdoor air pollutants can exacerbate symptoms. However, did you realize that bad air quality in the home can also be concerning? 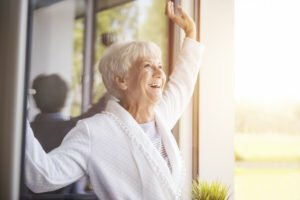 Cleaning the air in the senior’s home can help everyone breathe more easily and be more comfortable. No Smoking! Don’t smoke or allow others to smoke in your loved one’s home. If there is a fireplace in the person’s home, be aware that it can also be a source of irritation for those with COPD. Reduce Chemical Exposure. Household chemicals such as paint and cleaning products can aggravate COPD symptoms, so decrease the use of toxic chemicals and keep lids on cleaning products when not being used. There are also healthier cleaning choices like baking soda and vinegar that can be used instead. Cut Down on Dust. Launder bed linens each week, eliminate clutter, and keep household pets off furniture to help decrease dust levels. Filter the Air. Purchase an indoor air filtration unit and verify it has a HEPA filter. While air pollution isn’t as bad in many rural areas as it is in cities, you can still undeniably benefit from filtering your air and clearing away any potential irritants or toxins. Sweep the Floors. Maintaining clean floors minimizes dust and allergen accumulation. Keep in mind that hardwood floors are much less difficult to maintain in an allergen-free state than carpeted floors. Use a Humidifier. Dry air from the home’s heating system can aggravate COPD problems, as can air that is too humid. A goal of 40% humidity inside the home is usually best for an individual with COPD. Our expertly trained care team will first determine individual service needs and then develop a personalized care plan in coordination with a client’s medical service providers. Whether the need is for just a couple hours a week to allow family members to take a break from care, or if a senior requires full-time, around-the-clock care – or anything in between – Hired Hands Homecare is ready to help with personalized in-home care. Call Hired Hands Homecare of Sonoma and the surrounding areas today at 707-575-4700 to learn more about the ways in-home care can help.